Do you know what your current vehicle is worth? You do not want to trade in your automobile or sell it unless you know its value. 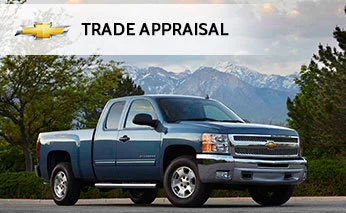 Seth Wadley Chevrolet in Pauls Valley offers a FREE trade appraisal service with NO OBLIGATIONS. Even if you do not buy a car from us, we will still be more than happy to appraise your current vehicle. This is just one of the many complimentary services that we offer for everyone. When you go to any dealership in or around Pauls Valley OK or try to sell your car on your own, you will know what it is worth. You would never sell your house, boat, or motorcycle before knowing their respective values; the same holds true for your car. Let Seth Wadley Chevrolet appraise your car today so you can get the fair market value. To get started on finding out what your current car is worth, please fill out the form below. Be as descriptive as you can and make sure to include any features or accessories that you may have added to your vehicle. This will help us give you a more accurate appraisal value on your vehicle. If you prefer to give this information to one of our team members, please give us a call today at (855) 984-6397 and we will be glad to help you.